Harvest is in full swing already in San Diego! If you are starting your harvest and crush but aren't sure what to do once you have your grapes, we have a Basic Winemaking Crash Course coming up Saturday September 13th -- see details below. We also have a red wine making summary and basic shopping listavailable online to help you find everything you need for your fermentations. We have a wide selection of yeasts for your fermentations, as well as other ingredients to make the best wines from your grapes. We also have equipment for rent to crush and press your wines and basic in-house wine chemistry testing. If you are planning to give wine as gifts this coming holiday season, now is the time to come in to Curds and Wine to make your wine gifts! We have a great selection of wine kits, including some amazing specialty port kits that make wonderful holiday gifts. Contact us today to make your appointment to start your holiday gift wines! In case you missed our comprehensive Basic Winemaking from Fresh Grapes 2-part seminar series, we have a special Basic Winemaking from Fresh Grapes Crash Course on Saturday September 13th from 1-4 pm. We will cover the basics of making wine from fresh grapes, including the processes involved, chemistry testing, and the equipment you will need, with demonstrations of the use of equipment commonly used for winemaking. Purchase of fresh grapes or winemaking on site is not included; grapes must be purchased separately and wine made at home from fresh grapes. No wine is made in this class! Must be 21 or over to participate. No refunds on ticket sales. This class is limited to 18 participants, $45/person. Purchase tickets at the shop or online here. We are here to help you get some fresh grapes for your home winemaking this harvest season! We will once again be a pick-up point for fresh grapes from West Coast Grapes, pricing and availability is now online for 2014. Grapes are purchased directly through West Coast Grapes, we are a pick-up point only, no sales on site for these grapes! Please note, we cannot store these grapes, they will start spontaneously fermenting if you do not pick them up the day they arrive. Grapes will arrive at Curds and Wine for pick up on Saturday September 27th. Your name will be called when they locate your order, and you will be responsible for picking up your boxes from the delivery truck. We cannot give a specific time as orders will be pulled from the truck as they were loaded, but the truck should arrive by 10 am - please contact us at Curds and Wine closer to the day of delivery to confirm. We will have a crusher/destemmer available to run these grapes through for a $25 processing fee for up to 500 lbs, another $10 fee for every additional 500 lbs. Please remember to bring containers that will fit in your vehicle to transport the must back home! Please note: only grapes delivered from West Coast Grapes can be processed on site at Curds and Wine, all other processing must be done off site and equipment returned clean and in working order. We do not offer any winemaking on site with fresh grapes except our Hands-on Harvest and Grapes to Glass courses. These courses are sold out for 2014, but if you are interested in getting on the waiting list for Harvest 2015 please contact us. Please send us a copy of your purchase receipts for the drawing; the drawing will be held a few weeks before the delivery date and the winner will be announced on our Facebook page and by Twitter. The winner will be notified by email so they can place their order for their bucket of choice out of the available buckets listed on the gift certificate you will be given (choice of merlot, cabernet sauvignon, barbera, sangiovese, zinfandel, syrah, chardonnay, pinot grigio, or sauvignon blanc juice). This bucket of juice will be brought to Curds and Wine with the fresh grape deliveries. Contact us if you are looking for local grapes for sale. 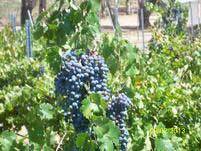 We typically get information as grapes are ready to harvest, you might only have a few days notice. Often you will pick your own, and don't forget to check if they have a crusher/destemmer or if you will need to rent one from us. If you need to rent one from us please contact us as soon as you know your harvest date -- the crusher is very popular during harvest season and availability is not guaranteed without a reservation. We also of course have all of your harvest supplies and yeasts available a well as other equipment rentals, such as pumps and presses. Please note -- grapes cannot be brought to Curds and Wine for winemaking on site at Curds and Wine with the exception of our Grapes to Glass and Hands-on Harvest classes; please contact us if you are interested in getting on the waiting list for these classes for Harvest 2015. We have all the equipment you need for this harvest season! From motorized crusher/destemmers to basket presses and bladder presses to bottling pumps and corkers, rentals offer you the right tools for the job without having to invest in expensive items. Contact us to reserve rental equipment as soon as you know you'll need it. Availability is limited and not guaranteed. RJ Spagnols Restricted Quantity 2014/2015 releases announced! Year to year, no two grape crops are the same. 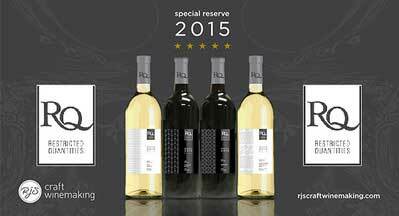 So each year, RJ Spagnols offers home winemakers an exclusive selection of outstanding wine kits, developed to feature the best results from grape harvests around the world. Because these kits are special and unique, each 16-liter Restricted Quantity kit comes with its own artfully designed labels. Due to the nature of these kits, they are only available in limited quantities, and must be pre-ordered by Sunday November 16, 2014 to reserve your wine kit. Interested in making your own honey for mead or for serving with your homemade cheeses? Or just want to learn more about the amazing life of honeybees? 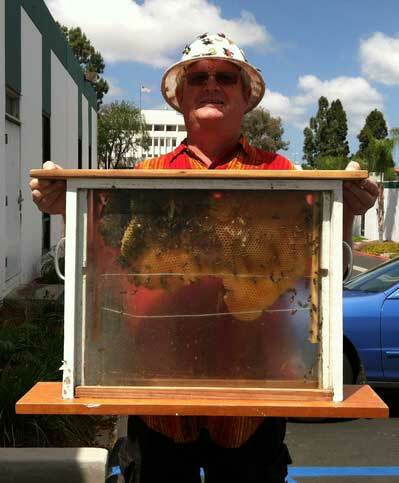 Join us at Curds and Wine for a Beekeeping workshop led by Don and Celeste Spangler of the San Diego Beekeeping Society. They will tell us about "A Year in the Life of Bees and Beekeepers," with detailed information about the importance of honeybees, the problem of pesticides, equipment needed and honey production, as well as winterizing your bees and spring preparation. Limited to 18 participants.